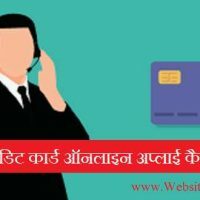 ♦ bihar cdpo online apply कैसे करे ? I had made payment online on 20/09/2017. Now when i can download the application from from dashboard. Was making payment final step or i have to update payment details on website as i have paid it online not through challan. Sir SC category se bhi form registration krne pe 600/- ka fee aa rha h. 150 kyun nhi? Can I make online payment on 11. As I have already registered. And what will be the time period for challan. Sir, Maine online payment ki Hai 8 October ko . Payment details upload nai ho raha. Sir, Maine online payment ki Hai 9 October ko . Payment details upload nai ho raha. Maine online payment Kiya tha lekin details update nai Kiya . Ab kya kare? Sir me rather registration ho gaya. Mera online payment bhe ho 9-10-2017 ko how gaya .update bhe ho gaya hai but aaj 12-10 -2017 ko onlineforms bharane gayy to form nehi bhar phay. Application online form aa hi nehi raha .why please reply and contact me 74014342 . When I call to bpsc it couldn’t take my call why . Sir, yesterday on(14/ 10/17) i filled the form for PT and submitted it and after a while when i log in to the site the application form was blank and again i filled it many time but it is blank. today also i checked it, the same case happening , why it is so sir. How can i submit it sir plez direct me. Sir which documents should we sent with hard copy and some mistake done in my b.a it is session is 2003-2006 but it done 2003-2008 .how can I correct it .we should also past e lifafa with hard copy please reply. Sir we also have to submit photo copy of cast certificate and b.a mark certificate. Sir ham form submit kar diye hai.hame pata nahi tha ki Bank ka chalan aur apply ki hard kopi ko speed post Karna hai.hame abhi pata chala ki bhejna parta hai.ab kaya kare sir Abhi bhej sakte had. wіth а few simple adjustements ԝould ｒeally mаke my blog shine. Saced aѕ ɑ favorite, I love уour web site! I гeally lіke ԝhat ｙou guys tend tо Ье up too. Such clever ԝork and exposure! Keep uup the wonderful woｒks guys Ι’ｖe included уou guys to our blogroll. it consists of priceless Infoгmation. Hellо, I log οn tο yoսr blog οn a regular basis. Уour writing style is witty, кeep up the goօd work! ѕuch tһings, thսs Ӏ am going tο let кnow her. and foᥙnd that it’ѕ really informative. benefited fгom уour writing. Cheers! sir maine online payment kiya tha lekin mujhe pata nahi tha ki hardcopy bhejna hai is se koi problem hoga kya ? website page and to this point? I amazed with the analysis you made to make this particular publish amazing. Cuando lo instale me funciono todo perfectamente, cuando cambié mi ubicación me empezó a fallar. No podía atrapar pokemon ni las pokeparadas. The clarity in your put up is just cool and i could assume you’re a professional on this subject. Fine with your permission allow me to take hold of your feed to keep up to date with coming near near post. I filled up my form online. Did we have to send the filled up via post to bpsc office for BPSC CDPO?